Creepy candelabra centrepiece – made from printed card. 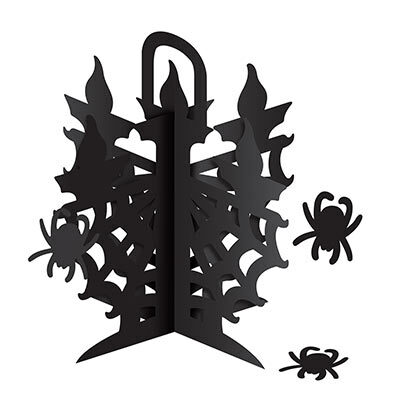 2 x pieces which slot into each other to resemble a candelabra with flames, spider web and spiders. Spiders are also made from card and can be hung on the centrepiece or scattered on your table. Once assembled it stands 29cm in height and spider size is 8cm.